John Stevens lived his dream. He wanted to play 1000 games in the AHL and when his playing days were over, he wanted to coach. He fell slightly short of the 1,000 mark but he became coach of the Philadelphia Flyers and in 2007 became only the 4th person to be inducted into the Philadelphia Phantoms Hall of Fame. John, born in New Brunswick, moved to the Turkey Point area with his family when he was ‘three or four’. A product of the Delhi and Simcoe Minor Hockey systems, John played Junior C in Simcoe before moving on to Newmarket Tier II A and the Oshawa Generals of the OHL. A career defenseman, John was a third-round pick of the Philadelphia Flyers in the 1984 NHL entry draft. After completing his junior career in Oshawa in 1986, he played for the Flyers organization for the next four seasons, spending most of his time with their AHL affiliate in Hershey while appearing in six NHL games in the 1986-87 and 1987-88 seasons. In 1988, John was a key member of Hershey’s Calder Cup winning team. In 1990, John joined the Hartford Whalers organization and spent six years in Springfield but played 44 games for the Whalers. In 1991, John won his second Calder Cup as a member of the Springfield Indians. During the summer of 1996 major changes were occurring in the Flyers organization. They moved into their new arena and the organization was preparing to launch its own AHL franchise, the Phantoms, in the old Spectrum. They needed a captain and as Head Coach Bill Barber said, “We needed someone that was going to be strong and help lead us in the right direction and John Stevens was our man”. John accepted the challenge and returned to Philadelphia and as ‘Rambo’, his nickname, once said, “I don’t accumulate a lot of points but I come to play every night. I try to be a good team player and stick up for my teammates. I believe in hard work and dedication and I try to set a good example for the younger guys”. This paid dividends for John and the Phantoms. In his first season back in Philly, John led the team to the regular season league title and the Mid-Atlantic championship while representing the Phantoms as captain of Team Canada at the AHL All-Star game. The next season ended with the Phantoms claiming their first Calder Cup championship. As a captain, John seemed to know what messages needed to be sent to his teammates, and when. This kind of leadership wins championships and gains respect from peers, and for John, probably was a contributing factor in the organization’s decision to offer him a coaching job. In January of 1999, an unfortunate injury put an end to John’s playing career. 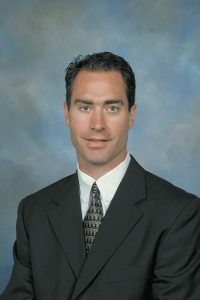 After his recovery, John immediately stepped behind the bench as an assistant coach where he worked with Head Coach Bill Barber for a year and a half before being named the Head Coach in June of 2000. Over the next six seasons, John coached the Phantoms to a .551 winning percentage and a second Calder Cup in 2004-05. Following the Phantom’s 10th anniversary season in 2005-06, John was promoted to Assistant Coach of the NHL Flyers and after only 8 games into the 2006-07 season, he was promoted to Head Coach.